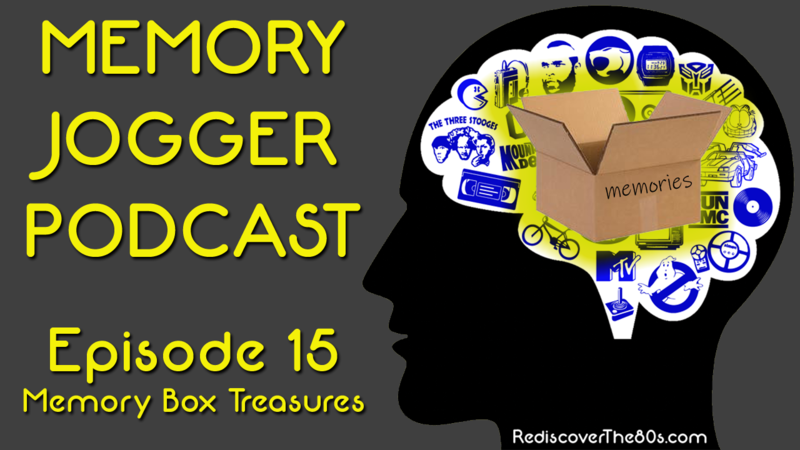 In this episode of Memory Jogger, Jason and Wyatt pull their memory boxes out of storage and reveal the treasures kept over the years. We HIGHLY recommend watching our recording session on YouTube for this episode, but you will hear us describe our findings during the podcast. Everything from old photos to field trip souvenirs to postcards will be unearthed for your entertainment. Wyatt uncovers a key chain collection while Jason finds some old movie ticket stubs from the early '90s. We hope you'll enjoy watching (and listening) and will leave any comments of memories we might have jogged. Watch our recording session on YouTube (embedded below,) download Memory Jogger 15 direct or listen as part of the Rediscover the 80s Podcast feed. Search for it in your favorite podcast app like iTunes, Google Play, TuneIn, Stitcher, and iHeartRadio.